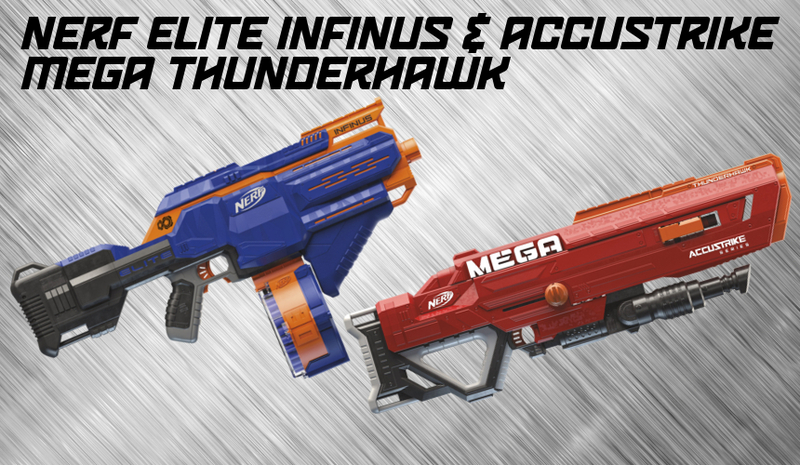 Nerf Infinus & MEGA Thunderhawk Press Release! Today’s the day for the official press release! The official images and descriptions are below, along with my thoughts. Firstly, the price on the Infinus is better than expected. It’s still a pretty penny, but if something is going to be a flagship blaster for the second half of the year, it has to be relatively affordable. The tinkerer in me naturally wants to open one up to see exactly how it works. It’s also good that the drum itself is removable. I’m assuming the drum has a special reason for existing, as opposed to just including a 25-round drum like you’d see with the Rhinofire or Hyperfire. Perhaps you need a special drum for the ammo reloading tech to work? There are still plenty of questions to ask here. As for the Thunderhawk, the most notable thing to me is the making of MEGA Accustrike darts. Stock MEGA darts are notoriously inaccurate, and while I personally loved the Buzz Bee XL darts, they’re no longer made. 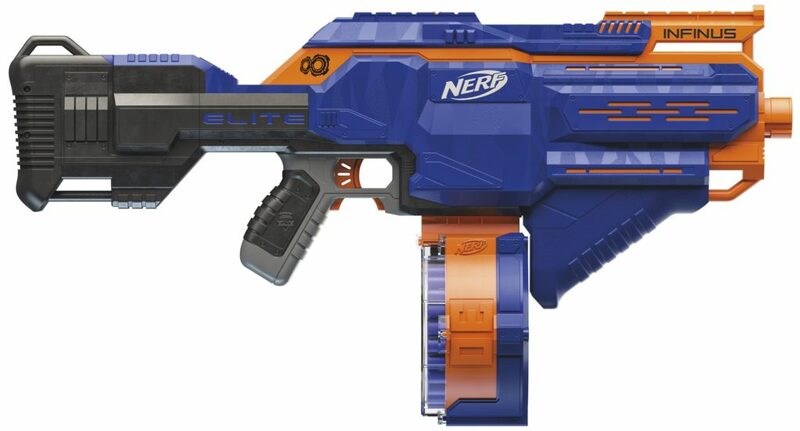 So a Nerf-brand solution to the inaccuracy is very welcome. No word as to dart prices, however. And we know regular Accustrikes retail for far more than Elites. A ten dart clip (a la the Battlescout) is nice for capacity. Admittedly, the inclusion of a giant extendable barrel extension is funny to me. Kids will probably love having it, though. Sadly, I won’t be making it to Toy Fair this year, but I’m sure you’ll see a nice scoop on Lord Drac’s Youtube channel when February rolls around! 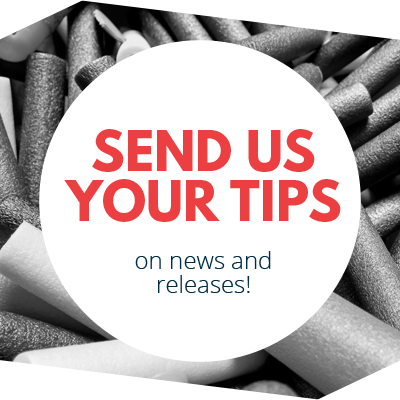 This entry was posted in Dart Blasters, News/Updates and tagged 2018, accustrike, blaster, blaster hub, elite, hasbro, infinus, mega, n-strike, thunderhawk, toy fair on January 23, 2018 by BuffdaddyNerf. 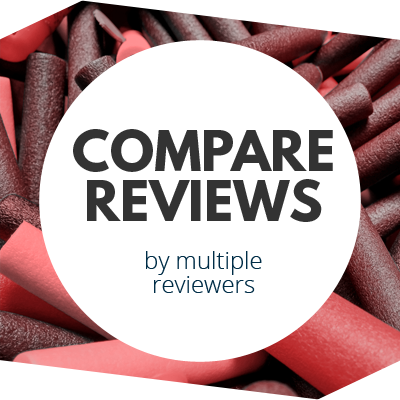 Adventure Force Titanium Review Nerf Rival Prometheus & Hades Press Release! I myself did a video for these two blasters just yesterday, I hope they released accustrike mega refill packs, b/c I am buying if they do. I want to see some pics of the accumega (can I copyright that?) darts! I also see many integrations using that thunderhawk blaster coming. It’s a really neat looking blaster. I think a lot of people will probably just take off the extending barrel.